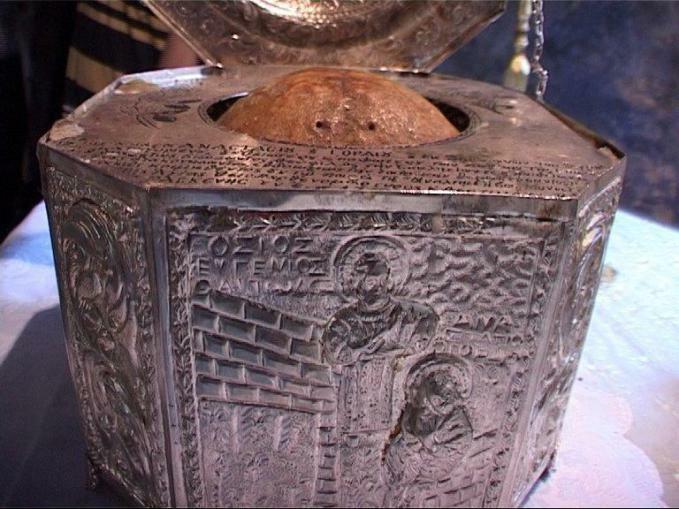 Anastasios was born in 1654 and was from Vraggiana, a village in Evrytania of Central Greece. He was one of the most important scholarly clerics during the Turkish occupation. 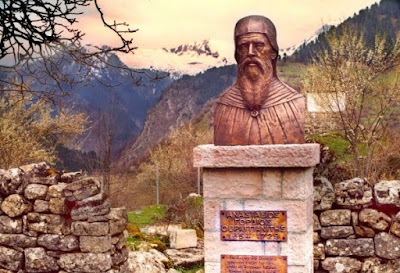 Also, he was a disciple of Saint Eugenios the Aitolos (Aug. 5), who kept the authentic Orthodox spirit alive in a time of ignorance, especially in the region of Agrafa, numbering him among the Teachers of the Nation and a precursor of the Modern Greek Enlightenment. In 1662 Eugenios Yiannoules the Aitolos founded the Hellenic Museum of Agrafa, which served as the school of the region, and there he taught his most brilliant student, Anastasios Gordios. In 1676 Eugenios sent Anastasios for further studies in Athens, where he was taught by such teachers as Ioannis Venizelos and Nikodemos Mazarakis The latter sent Anastasios to Padua, Italy for higher studies. 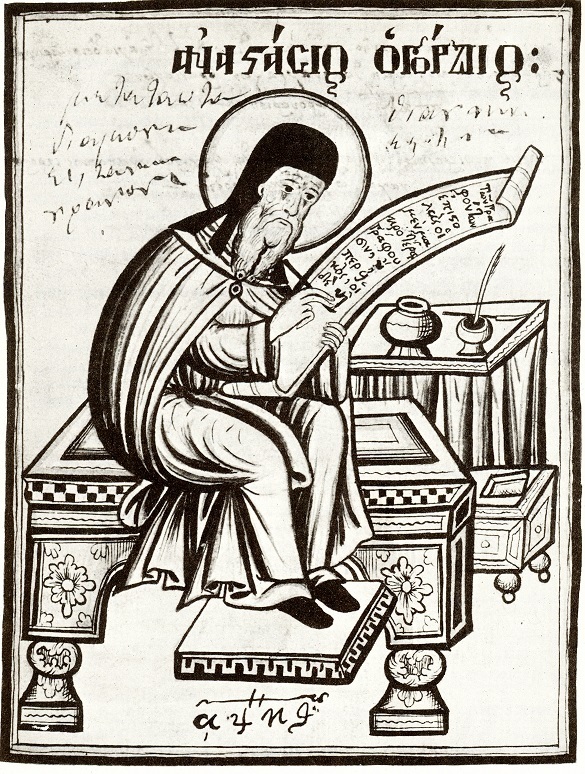 In Padua Anastasios studied literature, theology and medicine. Shortly afterwards, he studied physics and mathematics in Rome. After studying five years abroad, Anastasios returned to his homeland and taught at the Hellenic Museum of Agrafa, even though he was given many offers to teach in foreign countries at a higher pay. As he wrote somewhere: "The homeland needs help, and it must be helped." 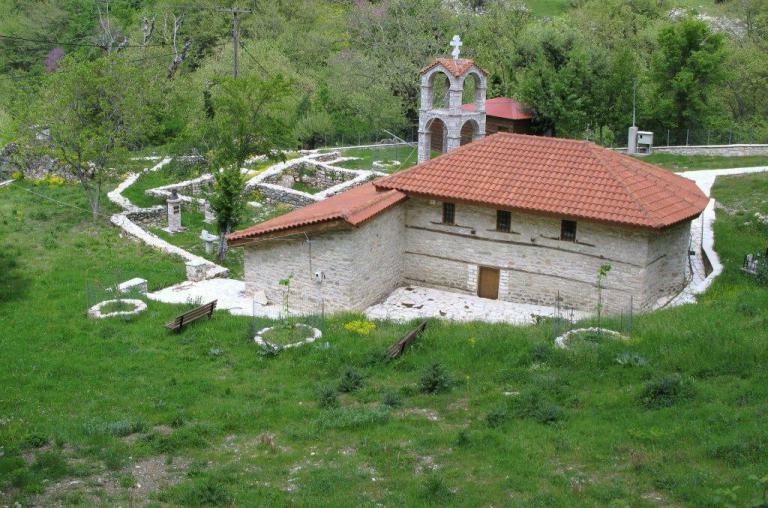 He settled in the small Monastery of Saint Paraskevi in Gouva and was a distinguished teacher. 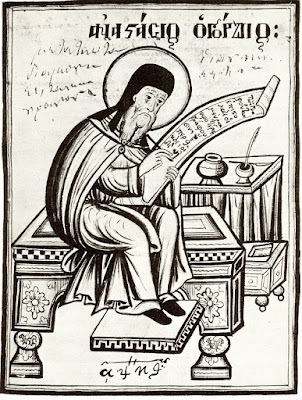 Many of his students, such as Theophanes of Agrafa, Michael Mavrommatis from Messolonghi and Nikolaos Logothetis from Galaxidi, later distinguished themselves as great teachers in their own homelands. There, in his distant village, which was poor and cut off from communication, and was exposed to the repeated raids of robbers, Anastasios Gordios developed his activities by sharing his time in teaching, writing, preaching, and building schools, churches and doing other public works. He corresponded with many people and asked for their help (we have preserved about 750 letters). In his letters he gives religious, moral, linguistic or medical advice. 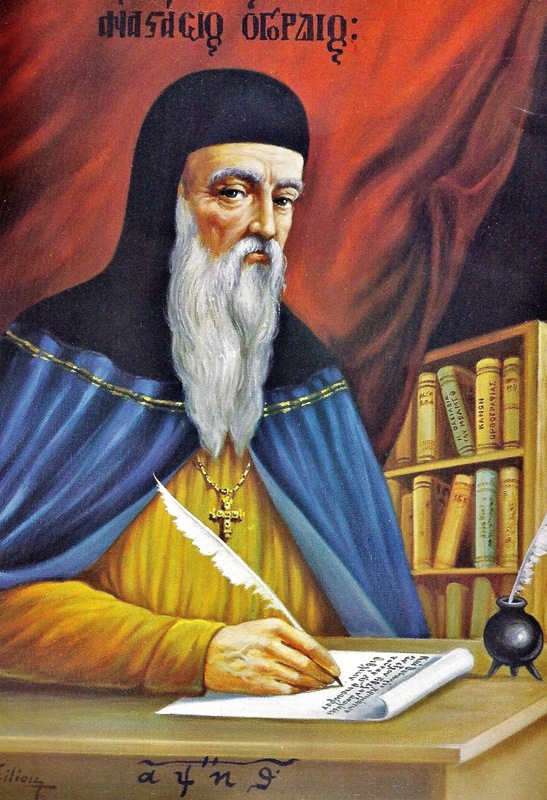 His reputation spread throughout Central Greece, from where letters were constantly sent to him covering all sorts of issues and questions. He responded to everyone with care and attention. He was fascinated with books, and often in his letters he asks for books. Besides Greek he also knew Italian and French. 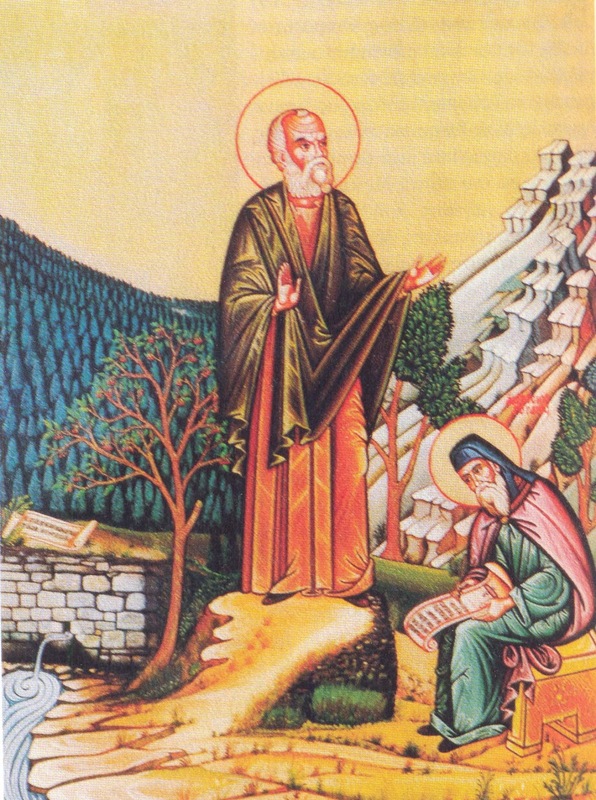 Anastasios reposed at the age of 75 in 1729 in the Monastery of Saint Paraskevi, and was buried next to his teacher Saint Eugenios. He left behind many writings besides his numerous letters, including translations into modern Greek of ancient Greek works. These also included works on Grammar, Logic, Medicine, Rhetoric and a Lexicon, as well as studies against Islam and the Papal Church. He also wrote many hymns to the local saints, and a biography of his teacher Saint Eugenios. At the Monastery of Saint Paraskevi is kept his honorable head, which gives off a beautiful fragrance, witnessing to his virtuous life, and is a source of miracles. 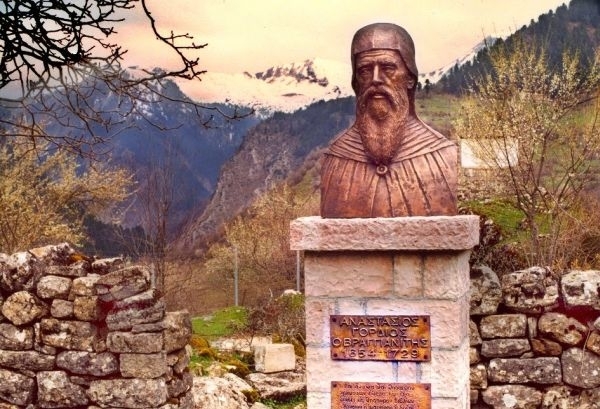 It is hoped by many who honor his memory that he would soon be numbered among the saints officially, even though he is considered a saint in the consciousness of the faithful.